The El Moro Elfin Forest is full of surprises. Although it lies just on the edge of a neighborhood, near a school, and close to busy South Bay Boulevard, it feels a world apart. The winding boardwalk path brings you to lookout points high above the estuary and salt marsh and then pulls you deep under the cover of pygmy live oaks in Rose’s Grove. And, though the preserve covers only 90 acres, it boasts eight distinct habitat types. (You can read about some of these distinct plant communities in our Native Plant blog series.) Each season brings new blossoms that support bees, hummingbirds, and other pollinators. (You can expect to see buck brush and fushiaflowered gooseberry among other flowering plants this winter.) Wetter months lead to falling leaves and mushrooms poking up from the forest floor. The photographs below show just a few of the beautiful things the Elfin Forest has to offer. 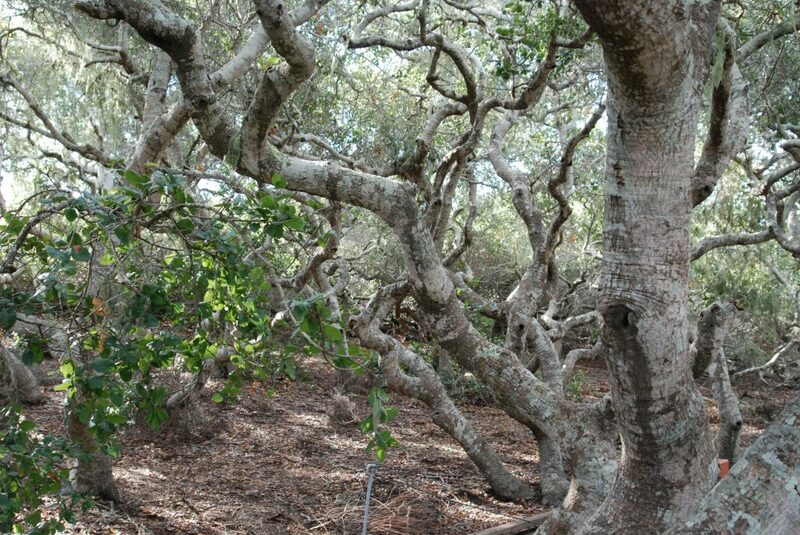 The coast live oaks in the Elfin Forest are genetically the same as other coast live oaks, but they have been stunted by harsh conditions including poor soil quality and strong winds. The Elfin Forest boardwalk brings you under their branches so you can admire the canopy from below. 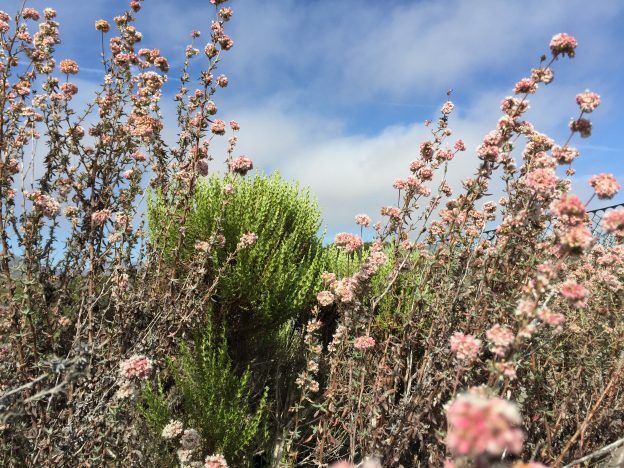 You’ll find flowers of all colors in the Elfin Forest. Keep an eye on the El Moro Elfin Forest website, particularly the Coming Up in the Forest page, to see what you can expect to find on your next walk through the preserve. The view from the two lookouts in the El Moro Elfin Forest span from the Morros to the salt marsh across the estuary and out to sea. More than 50 species of lichen grow in the Elfin Forest. 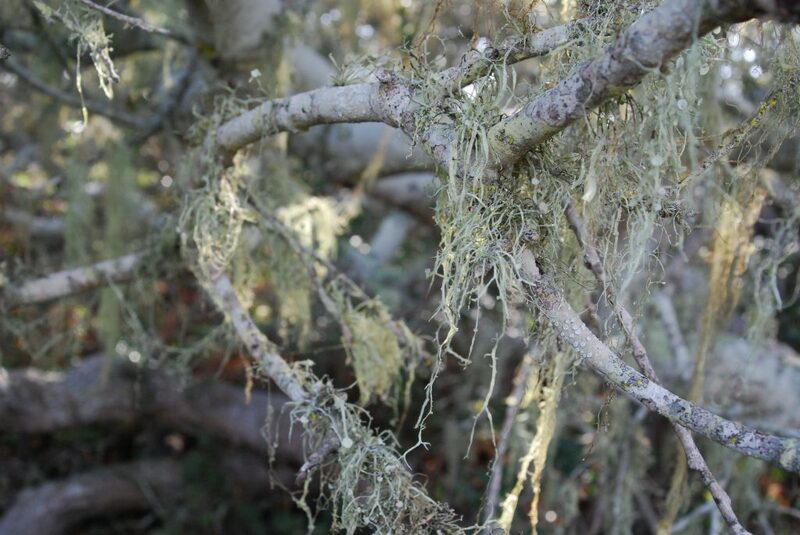 You can learn all about them in the Common Lichens of the Estero Bay Area. Make sure to keep an eye out for wildlife on the boardwalk and in the underbrush. 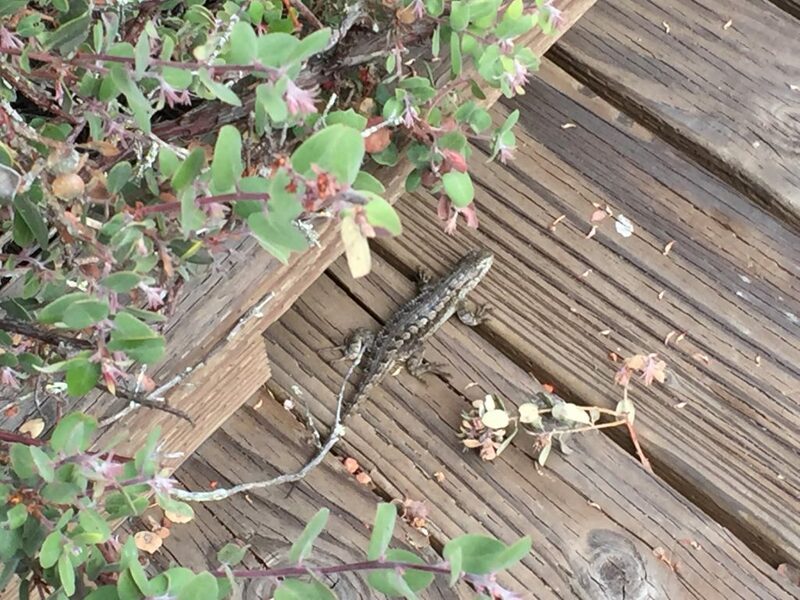 You might see a Western fence lizard, a brush rabbit, a family of California quail, or one of the many other native animals that make their home here. Find a map of the different plant communities in the Elfin Forest. Visit the forest during one of their Third Saturday walks. These informative walk-and-talk sessions let you start your morning off with a leisurely stroll and some new information. On December 15, Estuary Program Restoration Projects Manager Carolyn Geraghty will lead a walk that focuses on the estuary and the state of its eelgrass beds. On January 19, join Barbara Renshaw and Jeff Reifel for a walk-and-talk focused on native plants with some stops for sketching along the way. Read about the continuing efforts of the Los Osos and Morro Bay chapter of the Small Wilderness Areas Preservation Society (SWAP) to conserve and restore the Elfin Forest.